BELIEVE.. NOT HOPE NOT WISH NOT PRAY NOT BEG YOU HAVE TO BELIEVE..
As the New Moon energies are renewing our biological vessels, our DNA is upgraded and our Spirits begin to soar, let us UNITE in the LOVe of hte CREATOR as ONE VIOLET LIGHT LOVE ENTITY throughout the coming moon, emvelopping the entire planet in the 7th Ray Transmutative Frequency and Resonance of FORGIVENESS and FREEDOM! New beginnings are around the corner of this coming Moon, breviously unimagined possibilities are rising on the collective horizon, and inspired by the waves of COSMIC LIGHT we shall face the changes, welcoming them as opportunities to LOVE humanity and all life on this planet FREE! I ask you to focus the Violet Ray throughout this Moon on transmuting all past vibrations of discordance, war, hatred, nationalism and ego driven pride and greed into pure White Crystalline Light, setting free ALL improisoned life forms of any and all dimensions involved as to CLEAR the plate of all former imprints of impurity so we can begin anew, building on the Crystalline Energies which Mother Earth is inundadet in NOW in preparation of the Lion’s Gate! May we serve as vessels for the LIGHT, LOVE, WISDOM and WILL of God, facilitating the joyful and loving purification and cleansing of all old patterns of evil darkness and separation, perfectly protected by AA Michael’s Legions of LIGHT! May we become aware of the interrelatedness of all life not only on this planet, but throughout the Galaxy, the Universe, the Multiverse – one heart at a time until all of humanity on Earth can rejoice in Unity Consciousness – first on a planetary level, then on a galactic one, a universal one until last but not least we shall reach COSMIC Unity Consciousness! May we set the foundation for this RISE in Frequency and Consciousness when the Doors of the Lionsgate* open on the 8th of August! To bring about these profound changes which I see as possibilities, no, probablities, call on the Legions of Light, Saint Germain and Lady Portia, all Chohan’s of the Seven Rays and of the Five Secret Rays, all Archangels and Archaii, Elohim and Devi in SERVICE of God’s Divine Plan this moon and ask for help from all dimensions in the CLEANSING and PURIFYING PROCESS which neds to take place NOW! Come to know your guides and helpers if you are still new to this kind of work and begin to co-create with the higher realms, unseen, maybe, but clearly deiscernable by your feeling and intuiting Cosmic Human Nature! Beware, you are not alone! Beware, you are asked to contribute your share of invocations and pleas, asking for guidance, healing, love and help to be showered upon humjanity and all life on Earth! ASK FOR HELP – as the call for help must come from the realms where help is needed! – and open up your conscious perception to the answers which you shall surely receive in response to your invocations! I AM God’s Infinite Light and BEAUTY in Action – NOW! I AM God’s Perfected WISDOM of INSIGHT and VISION in ACTION – NOW! So BE it and so it IS, – TATHASTU! United we stand in the LIGHT of the CREATRESS, emanating the CREATOR’s qualities of Charity, Faith and Constancy, Love, Will and Wisdom, Compassion, Power and Golcen Christ Consciousness as we call forth the Threefold Flame of CREATION to renew our enitre body, earth, political, economic, and financial system! BEWARE – you are CREATORS! BEWARE – you are RESPONSIBLE! BEWARE – you are here for a very specific puropose and reason and the time to claim your mighty spiritual power is NOW! LOVE your BODY FREE and HEAL it – and thus the planetary body of our Mother Gaia Terra Shan Vej (speak: way)! Owen K Waters – The Spiritual Age is not just another age to be documented in the pages of history books. The Spiritual Age is a quantum leap in the evolution of humankind. ✎ If you are still living in survival mode with little money to live on, pop the cork and get into the flow of The River of Abundance. Live in the energy of Love, Then Magic and Miracles will occur. We are in the process of manifesting the New World. SO BE IT! ✎ If you choose to go down that RABBIT HOLE, keep in mind the following. Once these fractal patterns of sound interact with your DNA, RESONANCE IS ESTABLISHED♥ ♪ღ♪. ✎ WHY CAN’T PEOPLE SEE THE TRUTH ? ✎ Summarized. Those who have control over energy (FREQUENCY) control everything. Because everything is made of of energy or vibration. Tuesday, August 1, 2017 Every Year on August 8th, There Is a Cosmic Alignment Called “the Lion’s Gateway”. (Melanie Beckler) When this direct alignment with the Galactic Center happens, (as can be seen astrologically) there is an intense surge of light which awakens DNA, activates the human energy field, and transmits high vibrational frequencies and codes of awakening. The Lion’s Gateway energy is all about more fully awakening each of our unique Divine Light and embodying Divinity within our physical form. 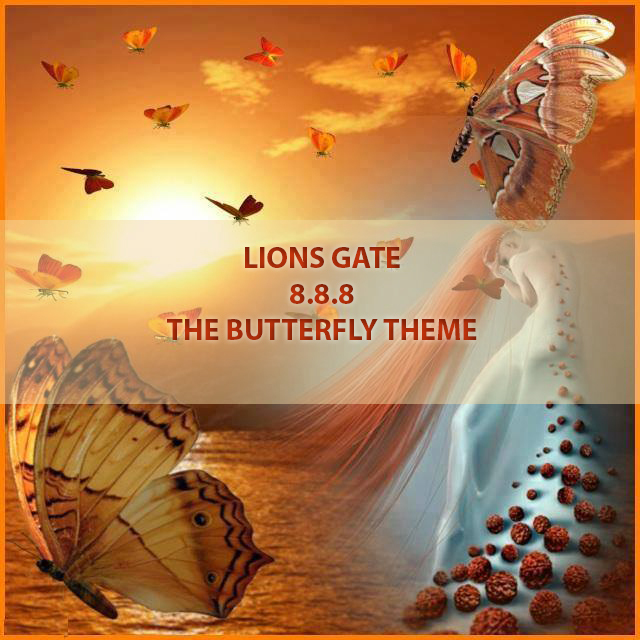 This gateway creates an incredible period of accelerated ascension… This year, it’s supercharged… And the Lion’s Gate energy of accelerated ascension energy from the Central Galaxy is already here! ✎ But the real beauty of a hologram is that, if it is cut into many pieces, the entire image can still be seen on any one piece. And, if any piece is then changed, that change is reflected in each and every other piece. There are two matrixes (actually there are more, yet for the sake of this, we speak only of 2). The Old Earth/Program Matrix (the human experience/experiment) and the Crystalline Matrix of NEW Earth. In order for each to come to BE fully on NEW EARTH, the ENERGY of Old Earth, the beliefs, the cellular programs/imprinting, the mentalities, the emotions that hold all in place must collapse/dissolve…. how this occurs will be up to each individual’s choices on how to Exit the Old Matrix fully, once and for all. For awhile, many will have one foot in each dimension/world. This can only last for awhile, until all must “jump”, get off the fence, step over/FULLY Cross Over/Transition Over to “The Other Side”, beyond the Veils of Amnesia & onto a much higher dimensional timeline and choose to let the old completely go…. You can also purchase my book, “The Diamond Codes”, if you would like to learn more about the Diamond Light.